Wouldn't these charming recipe boxes make great gifts? 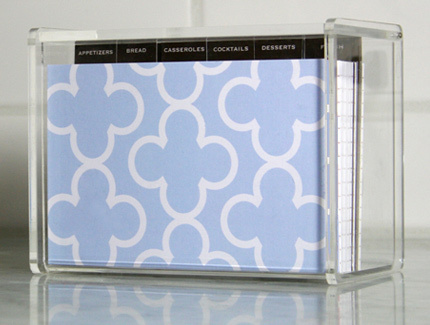 The recipe cards come in a hinged lucite box. 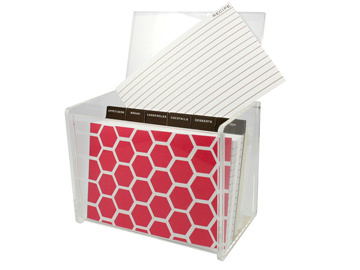 Its lid has a tray that holds cards for easy viewing and you can personalize with a monogram! or what about these flat notecards that come with coordinating envelopes? 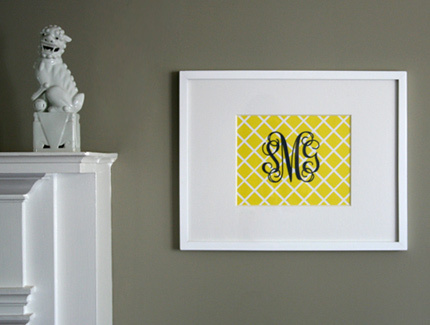 or personalized wall art that is already matted and framed? or calling cards for individuals or families? To check out all of Jack and Lulu's precious nick-nacks featured in their online boutique, click here.